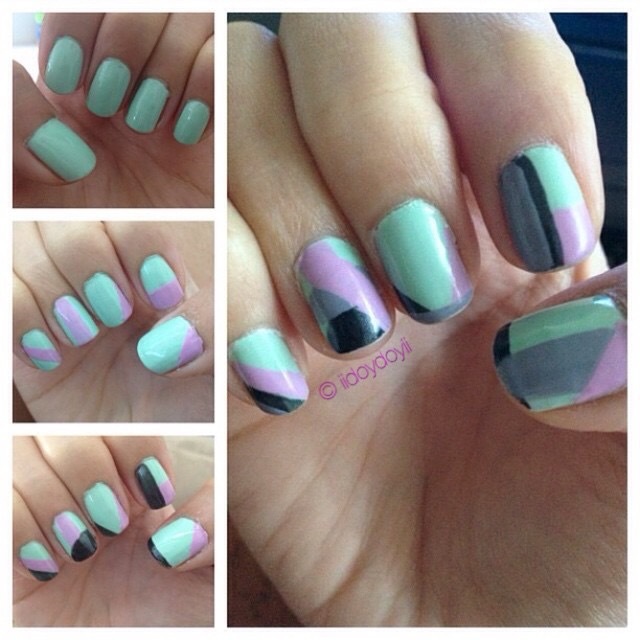 Color block manicure is a way to wear many colors and match outfits to the manicure. Since there are four or more colors, depending on how many you can fit on your nail bed, it is easy to throw in basic colors to match what you are wearing for the day. 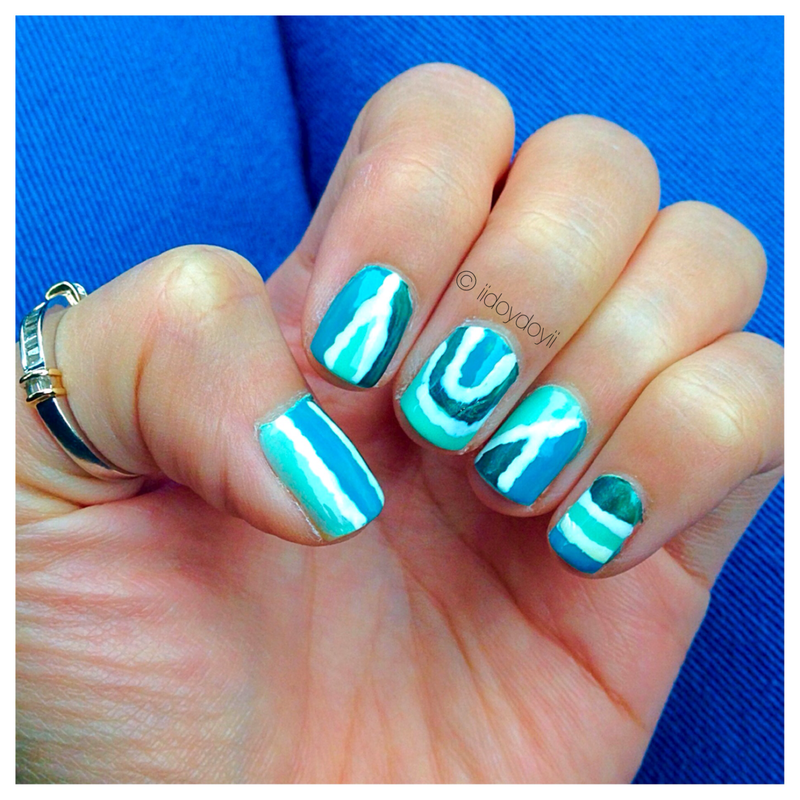 There is no right or wrong way to do these nails because they are abstract. I find manicures like these give you the freedom to paint whatever you want and wherever you want. The nail art design is completely up to you. In my nail design above, it can be very fluid with lines and curves, without using tape. Just so you know, this design included the use of a dotting tool, which I used to make the imperfect lines of separation between the colors. I think the lines really make the main colors pop out more. In my nail design below, it can also be very structured with clean lines, like the nail look I did with scotch tape. This method may take longer, but the end product is an overall cleaner design. I can’t decide between the two. Both methods and designs gave beautiful results. This nail design gives you the most freedom to act as an artist. So paint away!